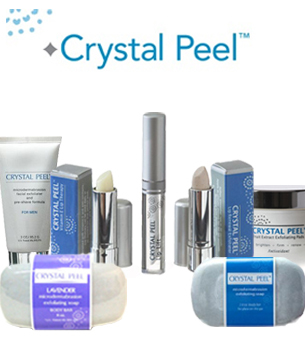 Crystal Peel is brought to you by formulation chemist, Lynn Lucka, who has more than three decades of experience in the skin care field. The line offers the first patented microdermabrasion program created for at-home use that’s also physician-endorsed. 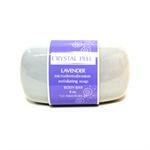 The people behind it firmly believe that the trick to achieving flawless skin is to thoroughly exfoliate it. 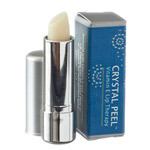 DrSkinSpa.com is an Authorized Retailer of Crystal Peel. All Products are Guaranteed Authentic & Fresh. Millions of people have enjoyed the effects of a microdermabrasion treatment. It works to remove the top layers of dead skin cells to reveal a fresher complexion underneath. Over the period of your treatments, you will notice that fine lines and wrinkle are disappearing, scars are smoothing out and fading, and more. Typically, these pricey treatments are only available to you by your skin care professional in the office. But now, thanks to Crystal Peel Microdermabrasion Exfoliation, you can give yourself your own treatment right in the comfort and privacy of your very own home. After two years of scientists and researchers creating these formulas to invoke the responses that they wanted, you will discover that this line will do wonders for your skin, including reduce cellulite, even out any skin discoloration, fight acne, and perhaps the most important in the field of anti-aging—encourage the production of collagen. 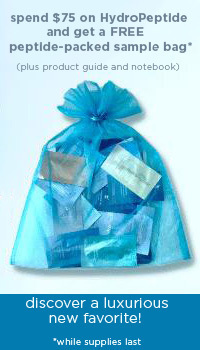 Throughout the course of your treatments, you will notice that your skin will have a renewed glow and elasticity. 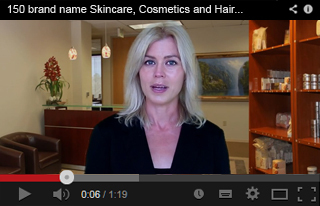 Skin that used to be dull and lifeless will have a youthfulness restored to it that you haven’t seen in years. 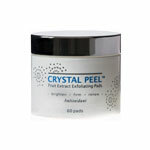 Read More About Crystal Peel..